Centered in one of Houston's first sky scrapers sits Le Meridien Hotel: a luxurious, contemporary establishment with European charm. This uplifting resort hosts a get away in and of itself with marvelous event halls, easy access to downtown, and extraordinary dining. One of Le Meridien's best kept hangouts is Z on 23 Rooftop Lounge. No worry about getting lost, the name is self explanatory: on the twenty third floor of this hotel sits this great place for drinks with an even better view. 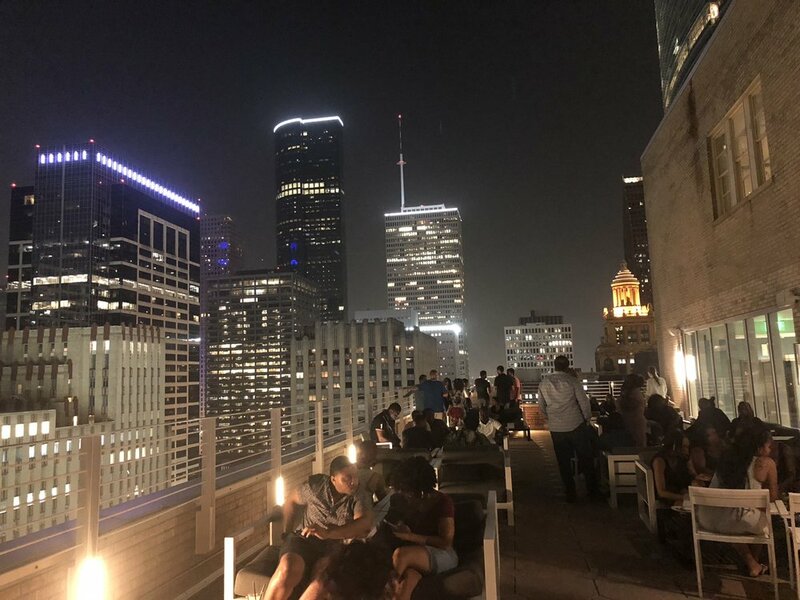 Enjoy light bites, specialty drinks, and scenic view at the center of downtown Houston. This gem is a great place to start off the night, open until 10 PM Sunday through Thursday and until 11 PM on Friday and Saturday.